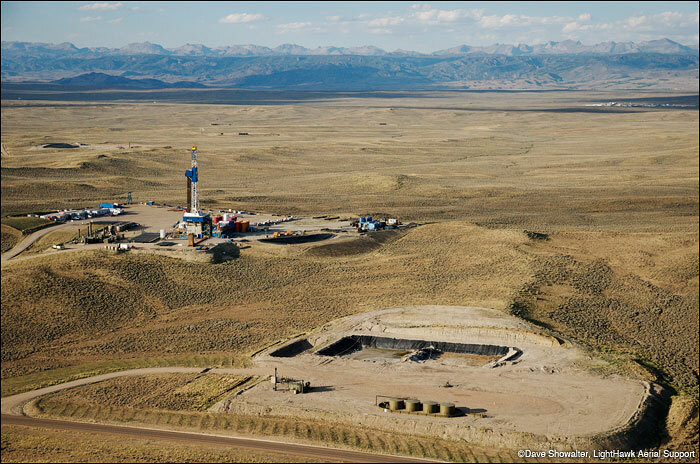 High density gas drilling operations in the Jonah Field contrast with the rugged Wind River Range. . Photo © copyright by Dave Showalter.